Kate Hudson was spotted looking so fresh while catching a flight at LAX on December 17. The 34-year-old actress went au naturel and casual. She opted for a makeup-free look while dressed in a white sweater dress and a pair of leggings. Kate appeared a lot younger than her age, agree? As for her shoes, Kate Hudson selected a pair of stylish snow boots. They are called the “Nowles,” and she got them from Isabel Marant. The boots are made of a combination of leather and suede. 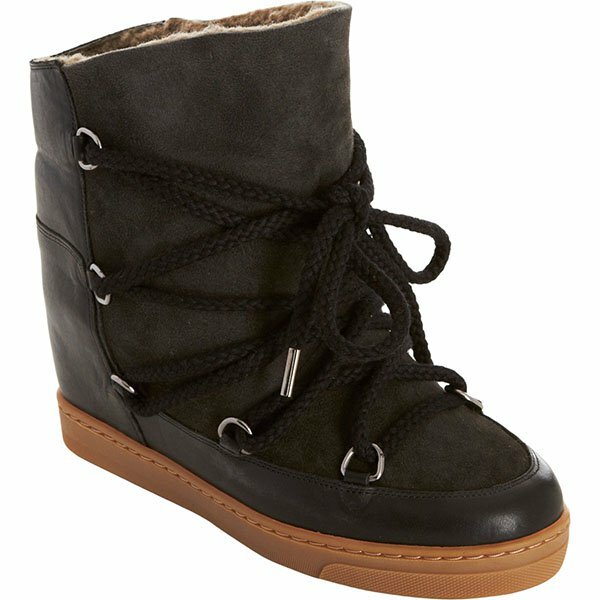 They also have lace-up fastening and D-ring eyelets. The collar can be folded down to reveal the soft shearling lining for added style. Also interesting are their concealed wedge heels that measure about 3.5 inches. 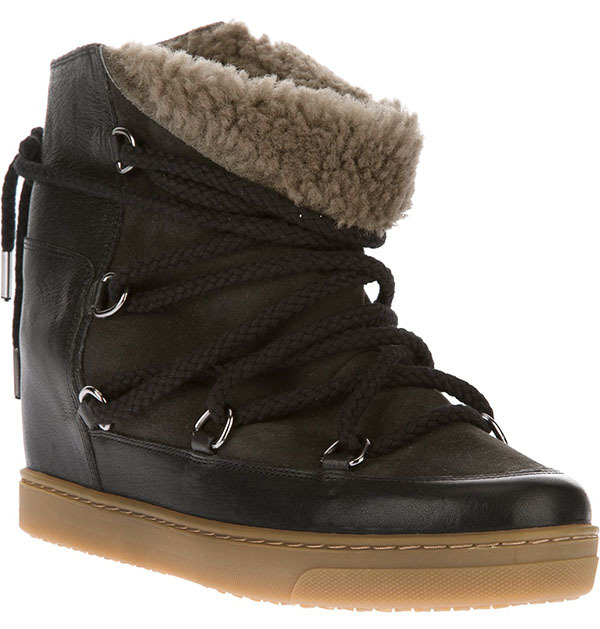 If you’re looking for a pair of chic boots for winter, these Isabel Marant boots would be perfect. Wear them with leggings, and you’re sure to battle the cold winter days in style.